MSC Seaview cruise is a third next-generation mega cruise ship being developed at FINCANTIERI’s Monfalcone shipyard in Italy. Image courtesy of MSC Cruises SA. Coin ceremony for MSC Seaview was conducted in February 2017. Image courtesy of MSC Cruises SA. FINCANTIERI is building the MSC Seaview and MSC Seaside cruise ships. Image courtesy of MSC Cruises SA. 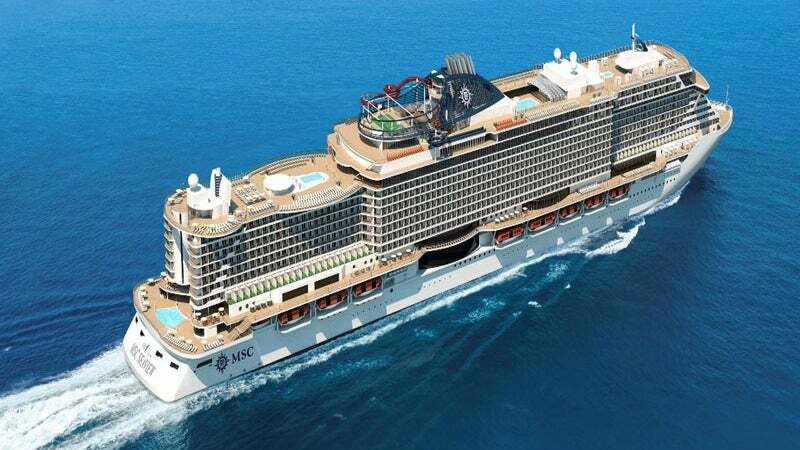 MSC Cruises’ MSC Seaview is the third next-generation mega cruise ship being developed as part of a ten-year, $10bn investment plan ending in 2026. It is one of the Seaside-generation smart ships, which also include the MSC Seaside that will enter service in December 2017. A keel-laying ceremony for MSC Seaview was conducted in February 2017 at FINCANTIERI’s Monfalcone shipyard in Italy. The cruise ship is expected to commence maiden voyage from Genoa, Italy, on 10 June 2018 and will be deployed in Brazil by November 2018. The 154t cruise ship is 1,060ft-long, 135ft-wide and 236ft-high, and can sail at a maximum speed of 21.8kt. Estimated to cost €700m ($777m approximately), the vessel will accommodate up to 5,179 guests and 1,413 crew members. Known as the ‘ship that follows the sun’, the MSC Seaview cruise ship will include a 360° promenade with glass railings running around the entire ship, a beach condo, and a recreation area with open-air bars, restaurants and boutiques. The ship features 2,067 guest cabins, 759 crew cabins, and 43,500m² of public space. It offers a range of cabin types, including yacht club royal, deluxe, interior suites, family-size suites with balconies, grand suites, and interior rooms. The staterooms feature double beds, a wardrobe, a bathroom with tub and shower, air-conditioning, a mini bar and safe, an interactive TV, and a telephone. Members of the MSC yacht club can enjoy an exclusive 24h butler and concierge services in luxury suites. The vessel will also include an all-inclusive private restaurant, unlimited drinks in all MSC Yacht Club venues or from the minibar, complimentary beverage selection, and exclusive access to The One Sun Deck and Top Sail Lounge. To enhance its on-board and onshore services, MSC Cruises has partnered with Samsung to provide the latest technology for its next-generation Meraviglia and Seaside-generation new builds. "Members of the MSC yacht club can enjoy an exclusive 24h butler and concierge services in luxury suites." The next-generation technology will provide state-of-the-art B2B solutions, including latest displays and mobile solutions to products for enhanced reality consumer retail experiences. The near field communication (NFC) technology provides a range of options including geo-location of children, cabin access and onboard payment. Interactive screen technology will allow passengers to select excursions and book shows and restaurants, while the iBeacon technology will help guests communicate with mobile devices and send push notifications about relevant information and offers. In January 2016, MSC Cruises contracted Samsung to supply cabin TVs and public screens, specialised equipment in the ships’ medical centres, mobile solutions, and printing systems on the cruise line’s next-generation ships. On 22 May 2014, MSC Cruises signed a €2.1bn ($2.2bn) contract with Fincantieri for the construction of two new cruise ships under the Seaside-generation. Timavo Ship Supply (TSS) provides procurement services for the marine industry. The company supplies new and existing ships with spare parts and consumables for electrical, ventilation, engine, hotel, deck and safety departments.